I just bought an 86 turbo z31 and the wheels are a universal fit with oval shape lug holes. Are they installed right or do I need "hub-centric" rings? And what kind of hub - centric rings and size should I get? I am posting a couple pics to see what they look like. I personally wouldn't drive on them. where are the stock wheels. I didn't get the stock wheels. The guy said that he ran these wheels for years. I am asking because the car has a slight shimmy and shaking when driving and I can't tell whether it's the wheels or whether the u joints in the driveshaft are gone. Seller probably switched wheels on it before sale. That explains the shimmy. The 'oval' holes make no sense to me. How can you be sure the wheel is centered on the axle? They would make me want to over-tighten the lugs and that can warp the OEM rotors on a Z31. Time to get other wheels. '86 OEM turbo 16" wheels are available from recyclers and Z31 guys. See if you can put together a set. OEM looks great on that car. Mother Nissan knows best! Last edited by zxguy1986; 10-05-2014 at 08:13 PM. i"m sure there is no possibility that the PO who sold it you is lying about driving on those wheels. You have entered the twilight zone do not touch your vertical or horizontal. I read this thread, the guy seems to have the same type of universal wheels as I do. He is recommended to get hub centric rings. What are hub centric rings? Where can I buy them? What size do I need? Buying new wheels at the moment is not really an option. If I can get away with these ones, then I would like to. Unless someone located in Canada has a set they want to sell me and ship to me. Man that is weird as hell. 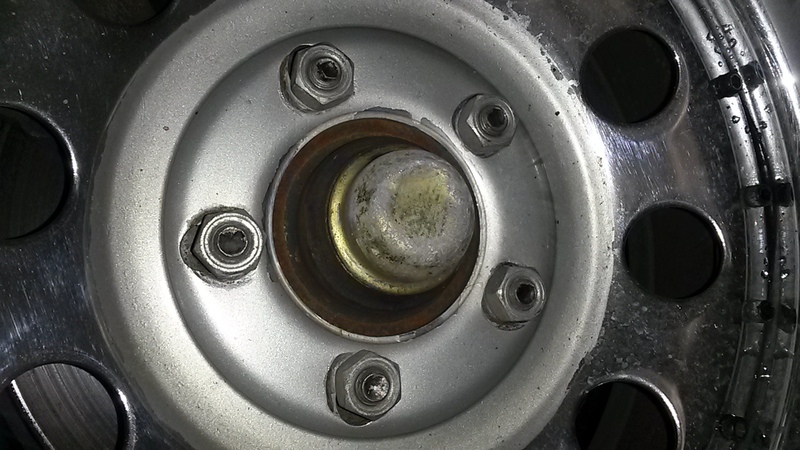 I have never seen ovaled lug nut holes. As far as the ring goes, you can measure the hub and measure the wheel with a caliper and buy the right size rings, they are available. I would change those out tho. Your call. Looking at it better, do you think maybe PO actually enlarged those holes? You can see where the old proper nuts were to hold the wheel in place, and you can see the holes differ as the oval goes on. Last edited by Skully; 10-06-2014 at 06:05 AM. 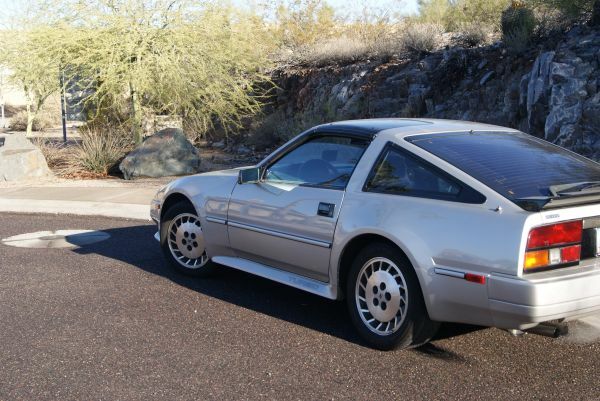 There is another thread on here that is titled "Fitting Cragars on 1986 300zx". Search for it. The guy also has the "varie-fit" wheels with oval lug holes. I would think that as long as the center hole is tight, the wheel can't really move around. Picture the wheel put on with no lugs, and a tight fitting center hole; if you tried to move the wheel it won't move around because the center hole is tight. 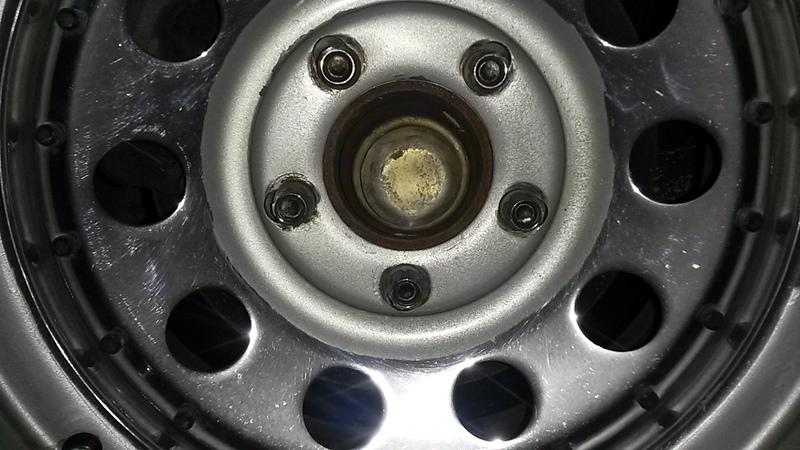 The lug nuts just hold the wheel tight to the hub assembly and the center hole keeps the wheel from any up or down and side to side movement, not the lug holes. Guess I'll just have to have the driveshaft and u joint checked out first because the shimmy is only at certain speeds. The PO told me to have the wheels balanced because he put new tires on at his buddies house and his buddy didn't have a balancer, just an older style tire changer. Wheels as well can cause shimmy at certain speeds. I have rings on my z32 as well, and before I balanced my tires, the simmy would be around 60-80 mph. I got my rings of ebay by searching for the hub diameter, and knowing the wheel center hole diameter. Yeah, mine shimmies around 60-75 km/hr and then again around 110km/hr. Shimmy stops completely between 75 and 110 and stops completely and drives really well at 120km/hr. Will have the wheels balanced first before I try replacing driveshaft/ujoint. Am I correct in thinking the u-joint and driveshaft are a complete unit and must replace the whole thing if the ujoint is bad? Found these. I think they will fit properly. What holds the hubcentric ring in place? Nothing other than the mating of the wheel to the hub. From asking around at work those are older drag car rims. The guys at work tell me Cragar rims were popular back in the 60's and there is a flute that you are supposed to use on there to center it and the acorn style lug nut you have wont work. the wheel is probably not centered on your axle and even if you did center it the only thing holding it would be the pressure from the lug nut if they loosen at all it will fall out of alignment. Thanks for the info guys. I ordered some hubcentric rings, but after getting them, I found a set of used wheels locally that have the correct bolt pattern. The offsett is way off on the wheels, but I ordered 2" spacers to bring them out further. I also scored some tires to put on the car too. For the front, I have 235/45zr/17 and the rear is going to be 275/40zr/17. The wheels had a 40 mm offset and I ordered 50 mm spacers to bring them back out. Quick Reply: recently bought 86 turbo z31, wheels right?